We are a full service landscape design/build company specializing in Landscape and Irrigation Design & Installation, Eco Friendly Sustainable Landscapes, Stone Work/Hardscaping, Landscape Lighting, Site Drainage, Landscape Consulting and Water Features. Established in 2005 Structure Landscapes was created in response to the areas custom home builder's desire to subcontract landscaping to a landscape company who specializes in landscape and irrigation with quality installation, design and client relations while representing the builder's clients in a knowledgeable and enjoyable way. Before Structure Landscapes we were wholesale growers of Texas Native Plants & Trees for sale to landscape contractors in the Austin area. The big corporate nursery moved to town so we sold the nursery and went to work for the big nursery then on to creating Structure Landscapes. We still work for our builders and their clients and install landscapes for homeowners wanting to recreate their existing landscape. We have worked in Austin TX for over 20 years now. I take a lot of pride in our finished projects. Working with the home owners decor and not detracting from it, we're always looking for upscale equipment that's a value. We also offer great automation solutions, all the major brands are represented at our store. We offer high quality installations for you're living room, theater, patio or outside living areas. Many whole house AV systems including video distribution and control over iPad. With innovated products like 4K projection video, Atmos surround systems, SONOS music servers FireFX video management , Apple product control platforms. Creative "Stealth Acoustics" speaker installs that are completely invisible to the eye for higher decorating needs. We like to work with designers & architects for confident planning. This is a smaller more personalized company doing honest work for the best goals possible. If you want personal, honest assistance at a price that make sense we're the AV company that goes the extra miles for your happiness. 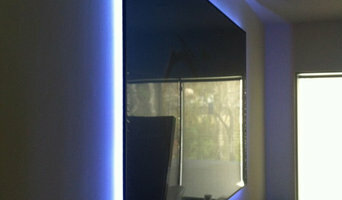 Captive Audio, Ltd. is the leader in audio/video, lighting and home integration in Central Texas. Our team specializes in the art of installing structured wiring, whole house audio/video, lighting, climate control, home theater, security/fire, home automation, and more. Founded in 1994, we have grown and adapted with the industry and are dedicated to staying on the cutting edge of today’s finest technology. 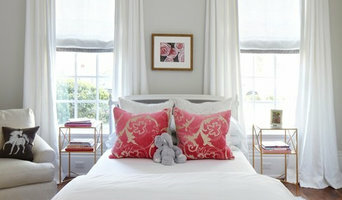 Every project we do is one of-a-kind and flawlessly tailored to meet your specific needs. Call us today and let’s start collaborating. Our mission is to deliver completely customized systems that fit your unique style and desires. We recognized early on that special care and a close attention to detail is necessary for a successful installation, and we pride ourselves in going the extra mile to ensure customer satisfaction. Our team of experienced engineers, systems designers, and installers work closely with you to establish a clear and detailed understanding of your expectations and those expectations are met with unparalleled efficiency and professionalism. We are devoted to making your project run as smoothly as possible by maintaining open communication and immediately addressing any problems or concerns that arise throughout the process. Using methods we have perfected over the last 20+ years, we capture your ideas and pair them with our creative expertise to create futuristic, easy-to-use systems that you will be proud of and enjoy for years to come. Call us today and let’s start collaborating. Have you always dreamed of a beautiful, native landscape filled to the brim with birds and butterflies? Or a sophisticated, picture-perfect patio built to entertain all your guests? Or to finally fix up that old yard into a luscious space that you look forward to seeing everyday? We're glad you found us. Since 2009, Seedlings Gardening has been creating beautiful, healthy landscapes for every budget. We specialize in using only 100% organic materials (no icky pesticides here!) and drought tolerant plants. Let us introduce sustainable and conservation practices right into your landscape to keep your garden growing all year long. Call us today for a consultation. Our design process is simple. Call us and tell us about your ideal landscape. We'll arrange a time for our designer to meet you at your property to get a better idea of the natural landscape. Our designer, a native Austinite, will transform your ideas into a conceptual design on paper. Once you approve, we start building. Rhino Electric is a owner operated electrical contractor in Wimberley, Tx. We offer quality and dependable work. Anything from adding a plug, switch, fixture or ceiling fan all the way up to full wiring of high end custom homes. We service all surrounding areas in a 50 mile radius. Xeriscape Designer in Austin Texas. 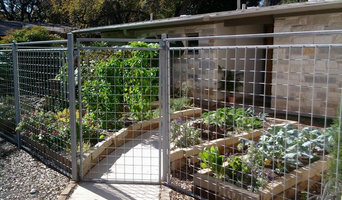 Professional Landscaping Contractor Specializing in Drought Tolerant Landscaping using Texas Native Plants. Design. Delivery. Support. Your Single Source Provider for Home Technology Epic AV Automation is a technology solutions provider for all your business, home, and personal technology needs. We are the market leading experts in automation and integration of lighting, motorized shades, audio-visual, network data, environmental, telecommunication and security systems for residences, estates, and high-end commercial buildings. We excel at systems integration, taking the potential and power of each subsystem and transforming them all into one elegant, personalized and easy-to-use system, with intuitive interfaces that are accessible locally or remote from anywhere in the world. Yarrow Landscaping specializes in the Design and Build of beautiful, easy-to-maintain commercial and residential landscapes based on ecological design principles. Our Yarrow Team includes our Certified Landscape Designer and Permaculturist with thirteen years of landscaping experience in Central Texas, our Construction Manager and Licensed Carpenter with over forty years experience designing and installing beautiful decks, patios, fences, concrete, stonework, walkways, water features, and lighting, our Licensed Irrigators with fifteen years experience installing and maintaining irrigation systems, and our professional, insured installation crews. 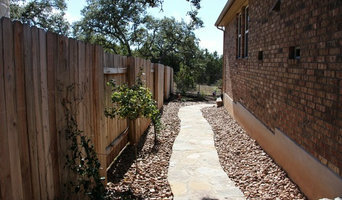 Established in 2012, Keep Austin Landscaped brings a fresh approach to outdoor spaces. Owner Shawn Nikah believes that authenticity in outdoor design consists of two things: authenticity to the inhabitant and authenticity to the region. All our outdoor spaces seek to blend the beauty of the Hill Country with the unique preferences of each customer. Stellar AV has been in business for over 20 years. At Stellar, we're dedicated to one thing: 100% customer satisfaction, offering premium audio, video and home automation solutions to connoisseurs who demand nothing but the best.With premium brands like McIntosh, Paradigm, Sonance, Control 4, Somfy, Lutron and so many others, Stellar is one of the few locations in the world where you can see, hear and demo these products in a single location. With our dedicated System Designers, Project Managers, Engineers and Installers, Stellar has the expertise to handle any job from inspiration to installation. Our experience and capability doesn’t stop at electronics. Our in-house staff can deliver a turn-key project to build out an attic space, finish a basement, or complete a room over the garage. When you see how quick and easy it is to make all the decisions in one place you’ll appreciate how our approach is a welcome alternative to the big box stores. Our design centers have the future of home electronics on display. You can experience a wide range of entertainment and convenience systems, from custom installed home theaters to one touch control of lighting, security, and HVAC. From digital music and movie servers to large format games. From speakers for your garden to high speed Internet access throughout your home. If it’s new, if it’s exciting, you can see it at STELLAR. Come visit our showroom and see for yourself how STELLAR can take the hassle out of making new technologies part of your home.